Not Available in Alaska, Arizona, California, Florida, Hawaii or Texas. The Chandler Pummelo is a grapefruit hybrid with large rounded fruit. The flesh of the fruit is pink and has a sweet taste. 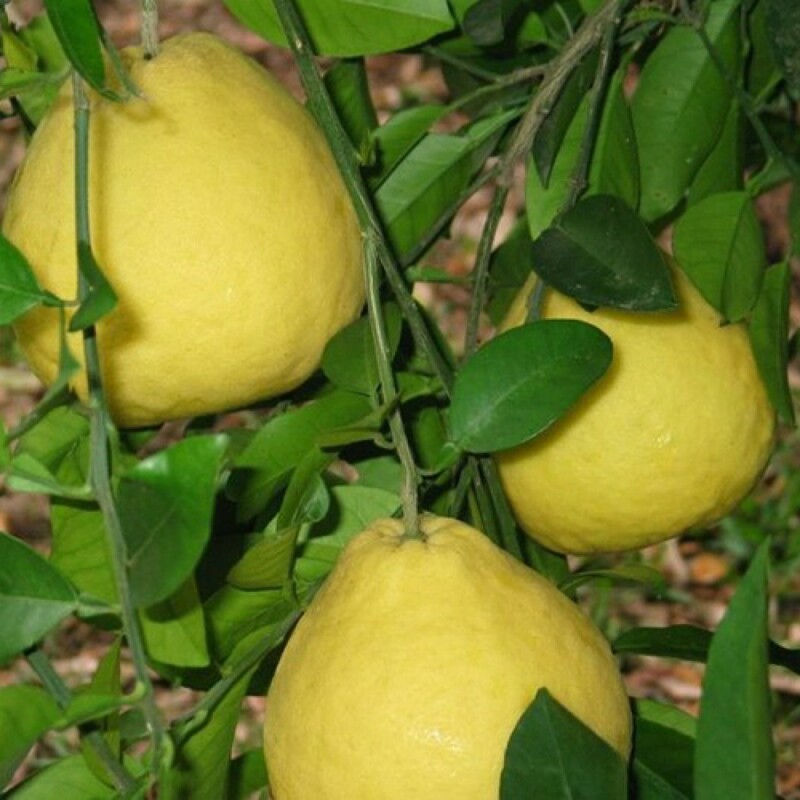 The Chandler Pummelo has no seeds when grown in isolation. To eat a pummelo, peel the fruit, separate the segments and remove the membrane around the segment. Use the fresh fruit the same as any grapefruit. The fruit is eaten fresh or segmented into fruit salads. The Chandler is a medium-to-large tree with an open spreading habit. The evergreen leaves are large. The tree may be pruned to shape. The Chandler Pummelo ripens November to June. 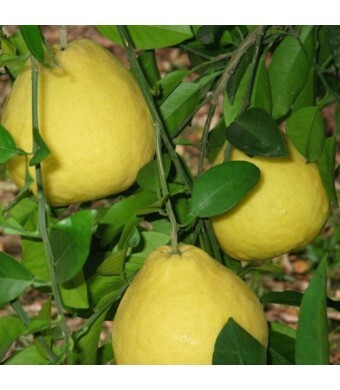 Citrus trees of all types make good landscape specimens. They offer clean glossy foliage and good color contrast with colorful ripening fruit against the green foliage. 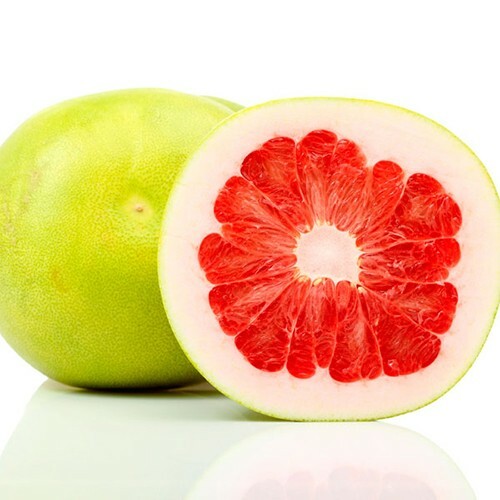 Pummelos are cold hardy in USDA Zones 9-11 and can be grown in containers as indoor plants in all other U.S. growing zones if brought indoors for the winter.